Hey lovelies, Happy Monday! Today, I want to share with you a membership-based jewelry brand called Ana Luisa. They sent over some pieces to style and review and here’s a spoiler: you’ll fall in love with them, too! Make sure you read all the way through because there’s a surprise waiting for you at the end of the post 🙂 Disclaimer: Although this post is sponsored, all opinions are 100% my own. Shopping with Ana Luisa requires a membership, but don’t worry, it doesn’t cost anything except a few seconds of your time. You just have to sign up with your email in order to become a member and be able to view the current collections. 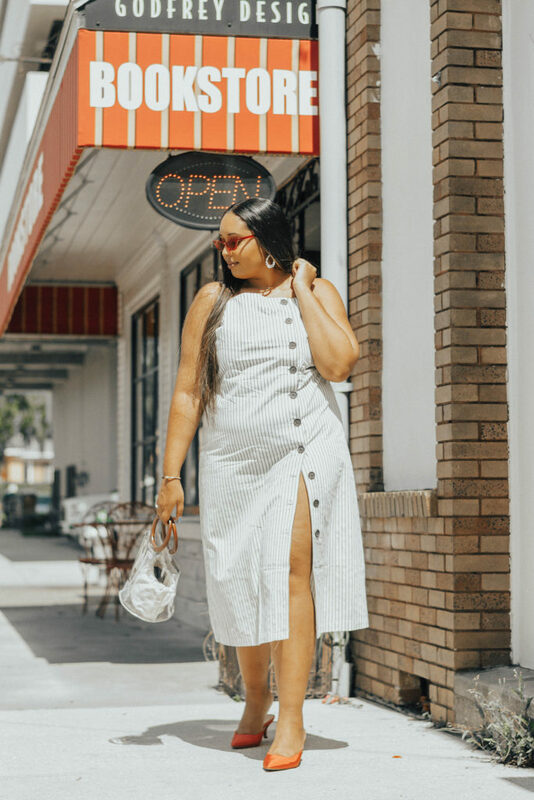 Having a membership gives you access to the members-only pricing, which brings pieces that would be super expensive elsewhere at affordable prices without sacrificing product quality. You also get a one-year warranty on all purchases, just in case. 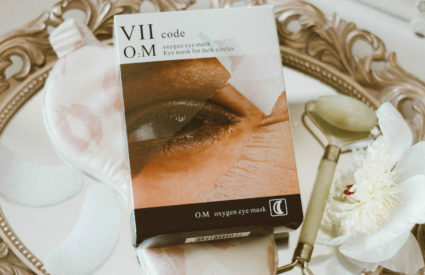 In addition to that good stuff, each purchase comes with a surprise gift, and your fifth purchase is free! 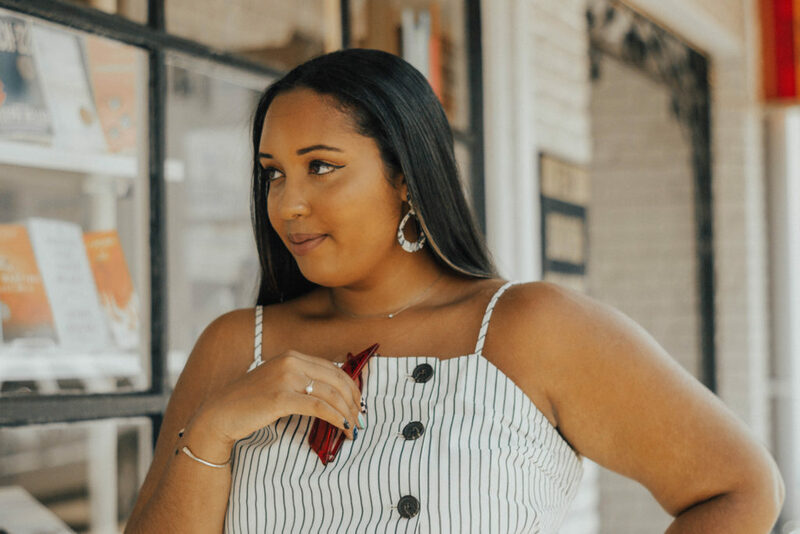 Once you gain access to the collections, you’ll see that Ana Luisa’s jewelry is classic, while managing to keep up with current jewelry trends. 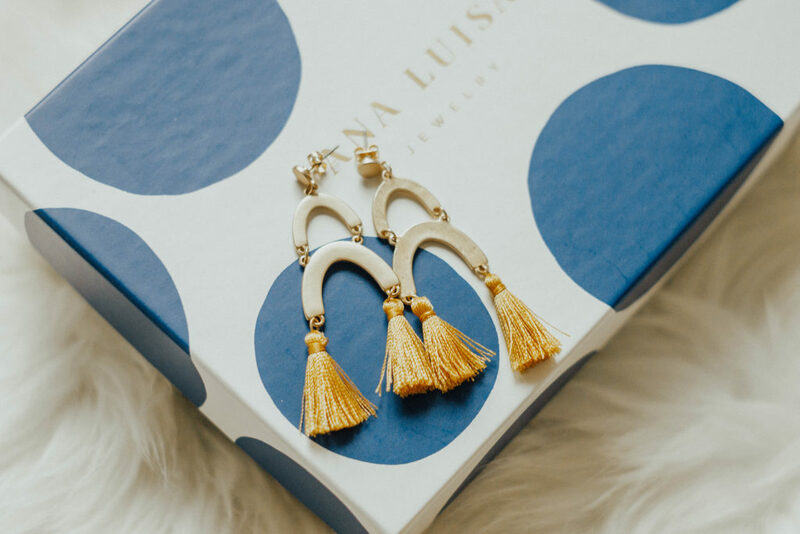 The current trends are textured, tassel, sculpture, and resin earrings, and Ana Luisa manages to nail those trends perfectly while offering pieces that will be wearable for years to come. The earrings I’m wearing are the Laura Earrings ($65), and I love that they’re both chic and lightweight. 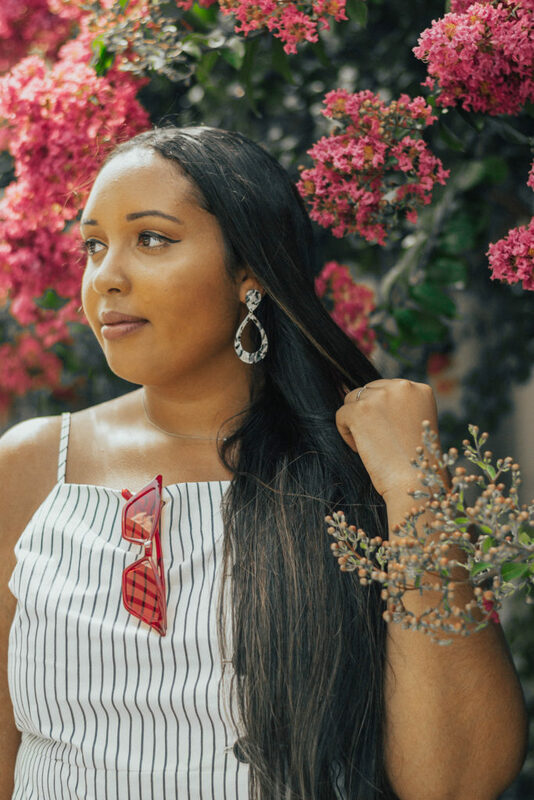 Wearing heavy statement earrings will weigh down your earlobes after so many years of wearing them, but the Laura Earrings are the perfect fit. 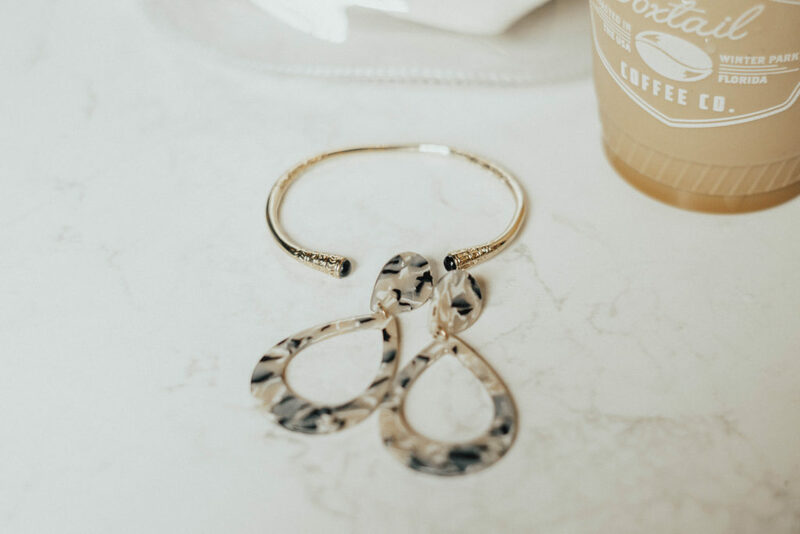 I also styled the Arti Onyx Bangle ($145) with the dress I’m wearing, and I selected it because it reminds me of another gold bangle that my grandmother gave me. It’s made of brass, onyx, and is dipped in 14K gold. I have worn the bracelet quite a few times already with no tarnishing or a bad reaction on my skin. I find myself wearing both pieces with anything and everything. And although the resin earrings are a trendy piece, I can see myself reaching for them a few years from now. The detailing on both pieces is gorgeous! Ana Luisa was kind enough to send me an extra pair of the Olivia Yellow Earrings ($70) to give away to one lucky reader! The Olivia Yellow Earrings are gorgeous! A staple piece that stands out without being too loud, I like it!